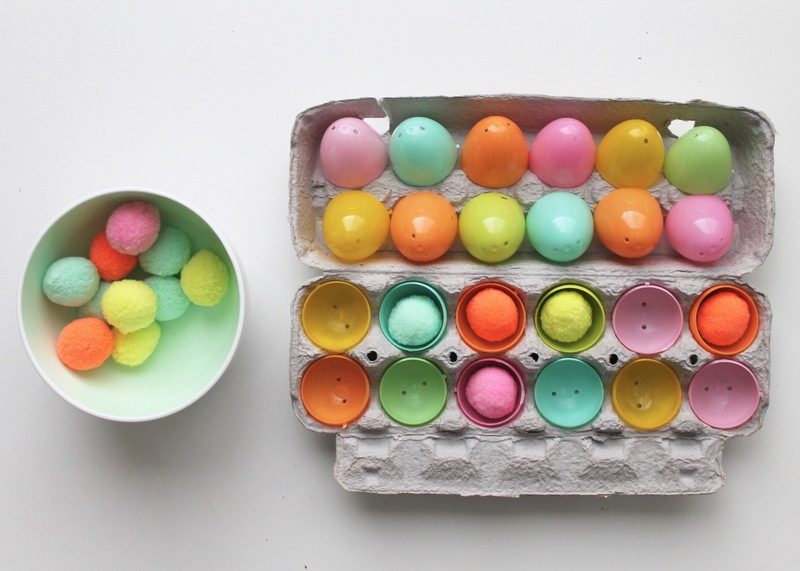 So it is the day after Easter and the remnants of the holiday lay around the house. 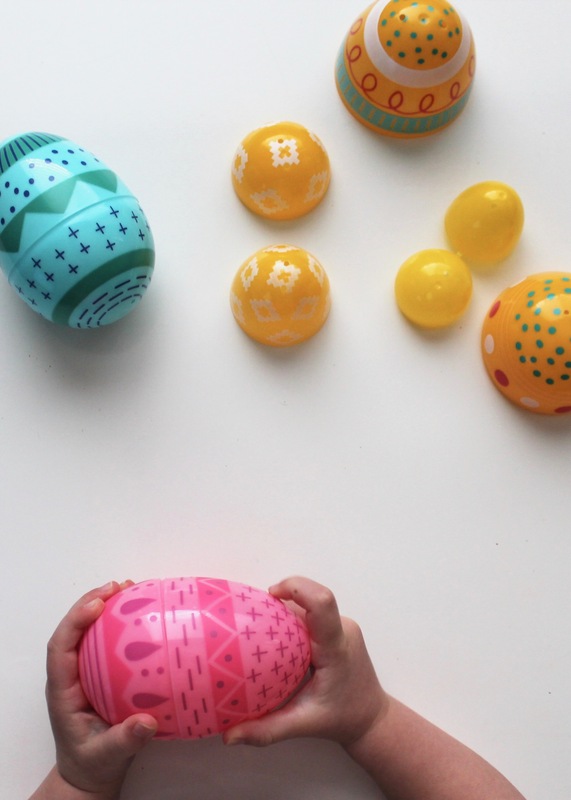 In particular the plastic eggs seem to be in every room. 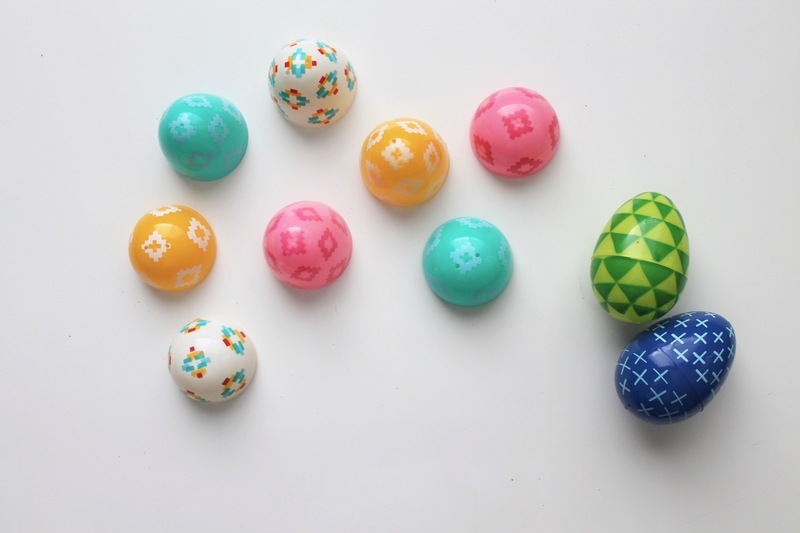 With the kids home from daycare and school for one more day, we emptied any candy that remained into bags and put the plastic eggs to use before packing them away until next year. 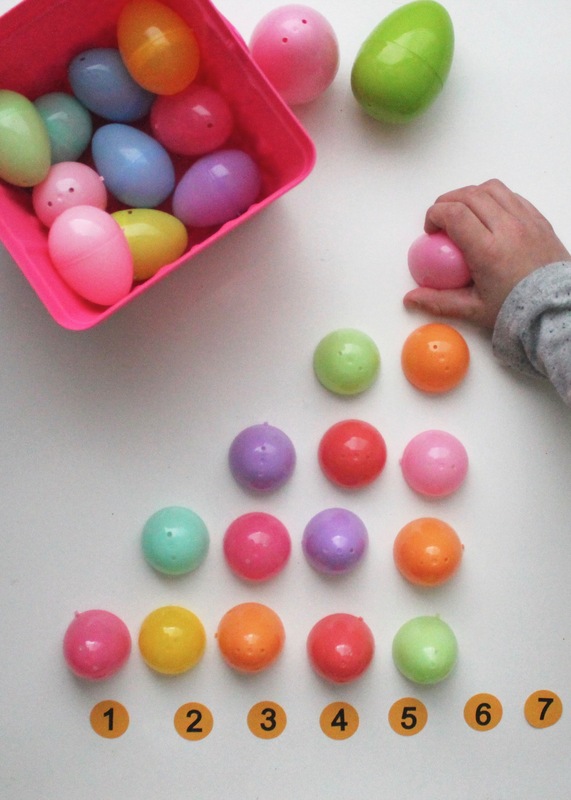 Here are six different activities that have a learning and building element, all of which work well for the development of both toddlers and young school aged learners. 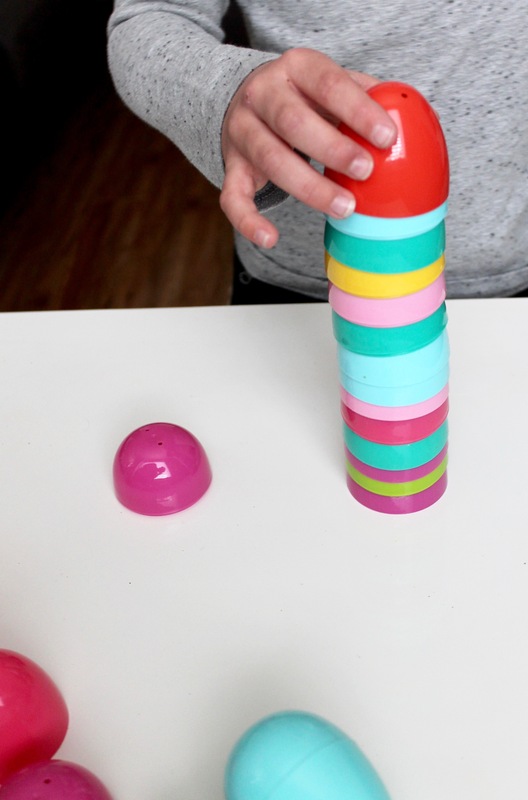 A simple yet effective activity for little ones as it calls on their ability to match colors and use their hand eye coordination when connecting egg pieces together. 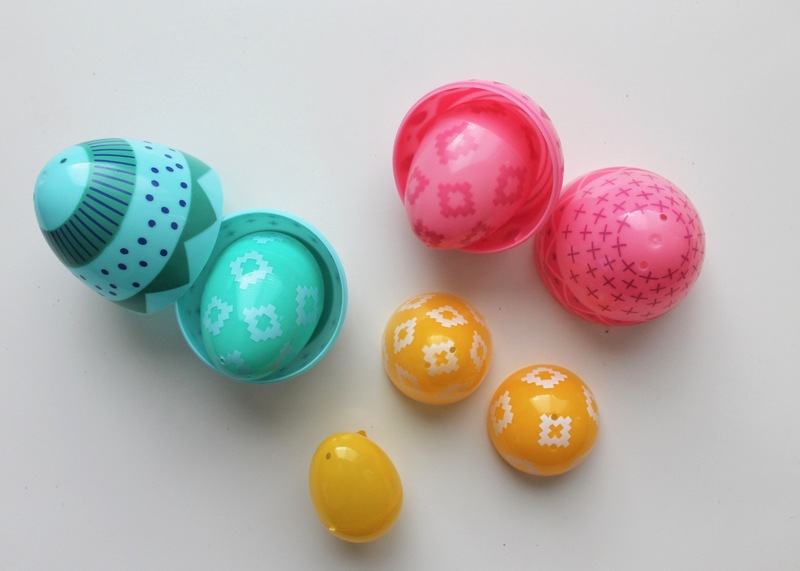 You can do this with solid colored eggs, as well as, patterned ones. 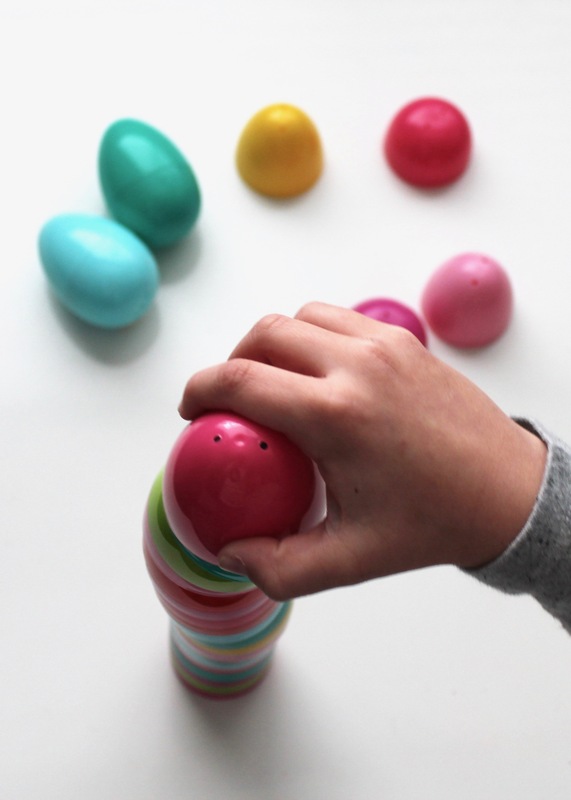 If you have eggs of different sizes, this activity can also be fun to do with young kids. 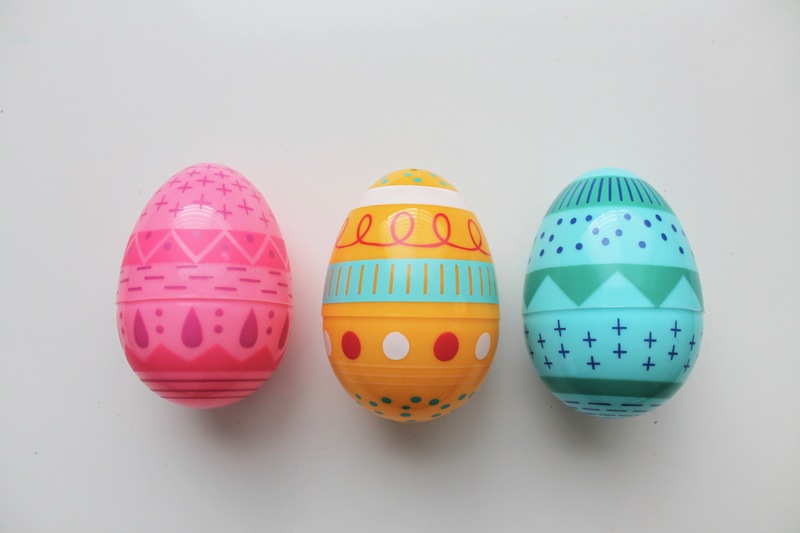 Have them put the eggs inside one another. Starting with the littlest egg they connect the pieces together and then place the small egg inside the medium one. Then they do the same with the medium egg into the largest one. 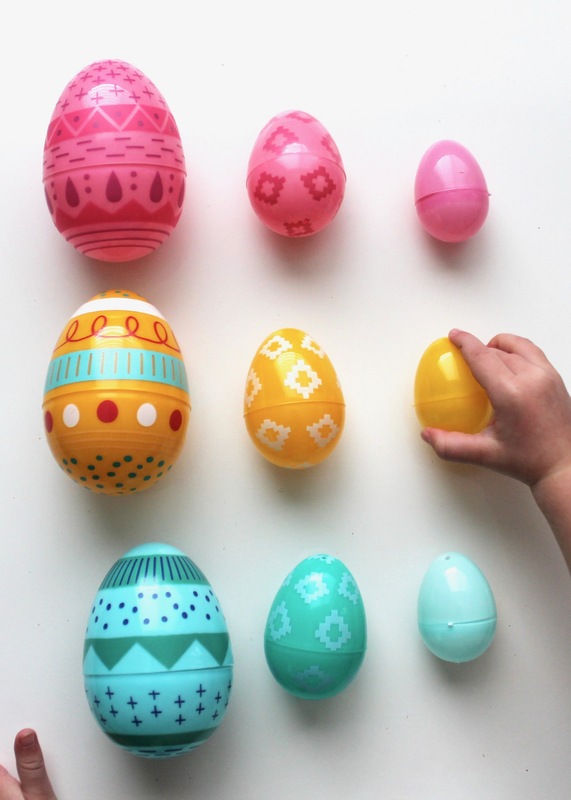 You can also have them put the pieces together and then lay them out, sorting the eggs by size. 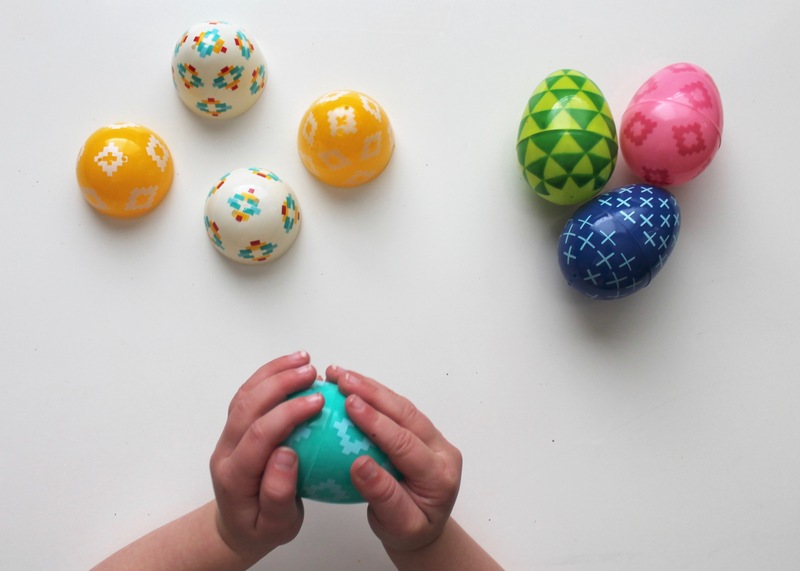 Once complete, I asked my daughter questions like “Can you point to the medium pink egg?” or “Which three eggs are the largest?”. 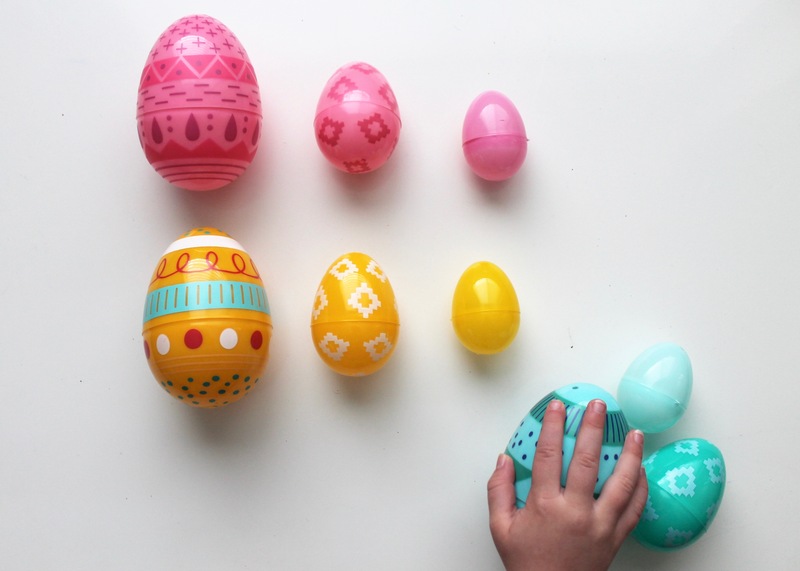 Add a number to the outside of an egg (written with a sharpie or add a numbered sticker to the outside) and have them fill the egg with that many objects. For example, if there is a three on the outside, three objects should go in the inside. 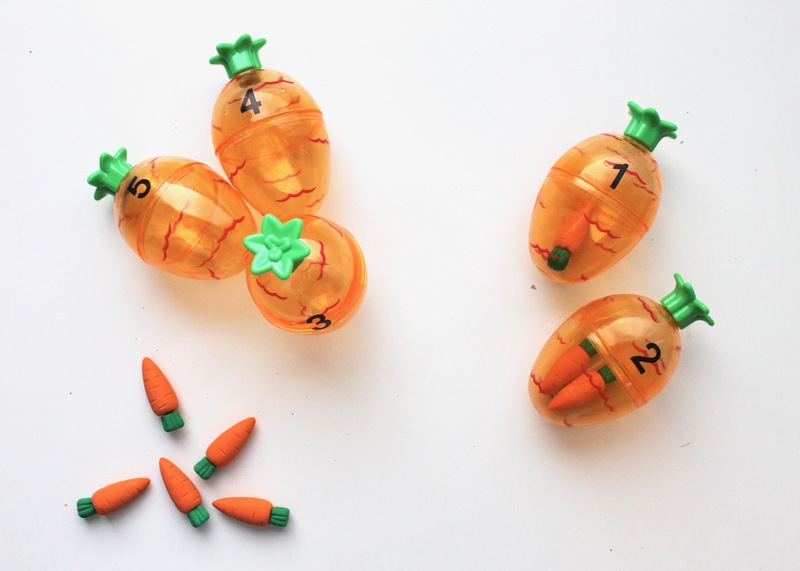 I used little carrot erasers in this case, but you can use pom poms, figurines, candies, etc. 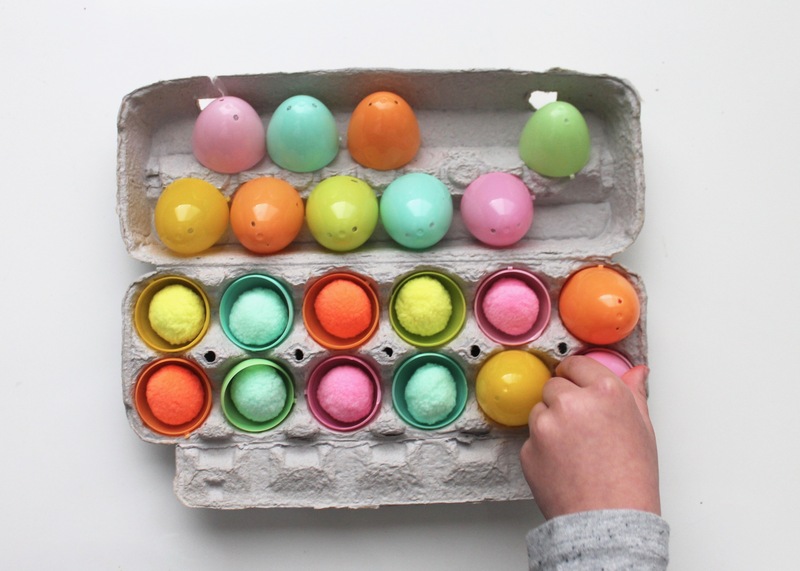 The great thing about this is you can also use a variety of egg sizes depending on what you offer to them in terms of filling. 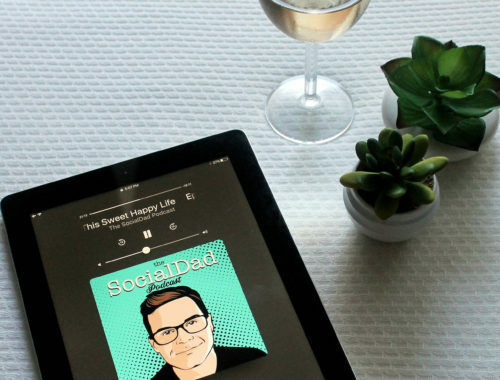 This next one was inspired by my friend and fellow mom blogger at Mama Life Inspiration. 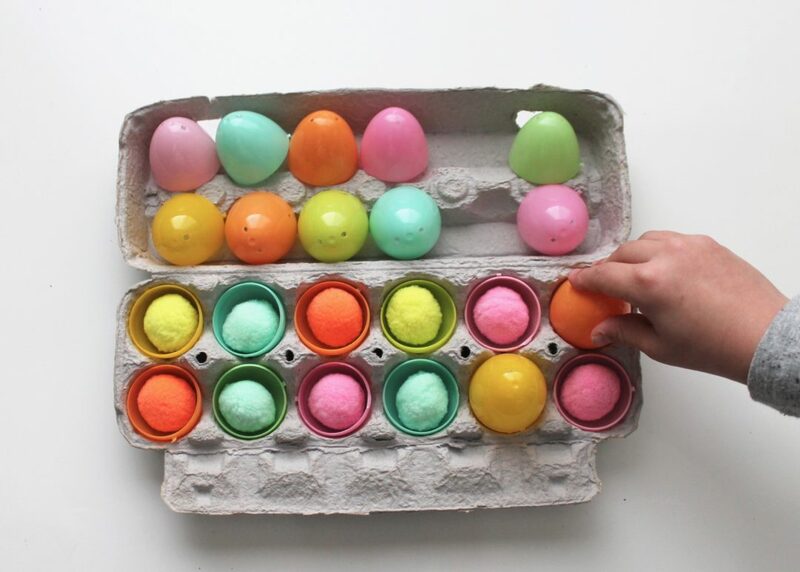 With a full or half sized egg carton, split the eggs in half, placing the bottoms in each opening and mix up the tops in the upper part of the carton. 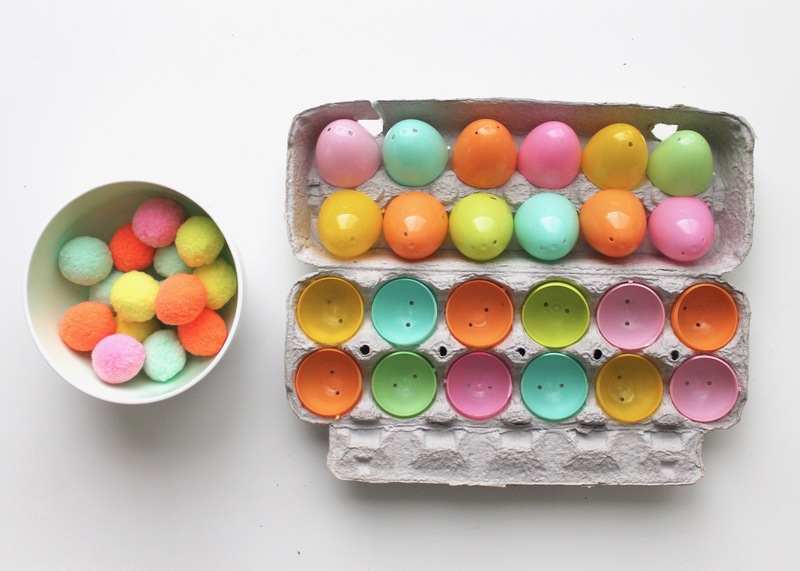 Offer the child colored pieces that match the eggs (again, I used pom poms in this case, but candies or figures would work too) in a separate bowl. 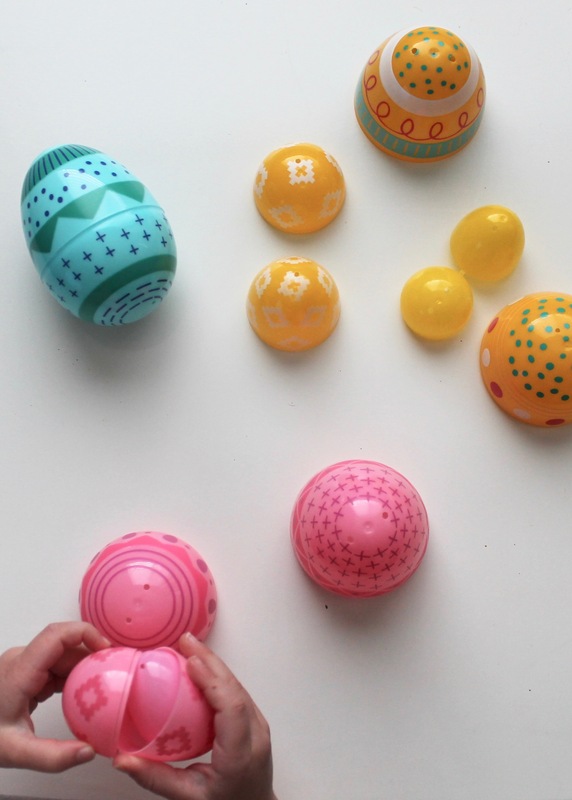 They then transfer the object to the egg of the same color and fit the proper top to finish. 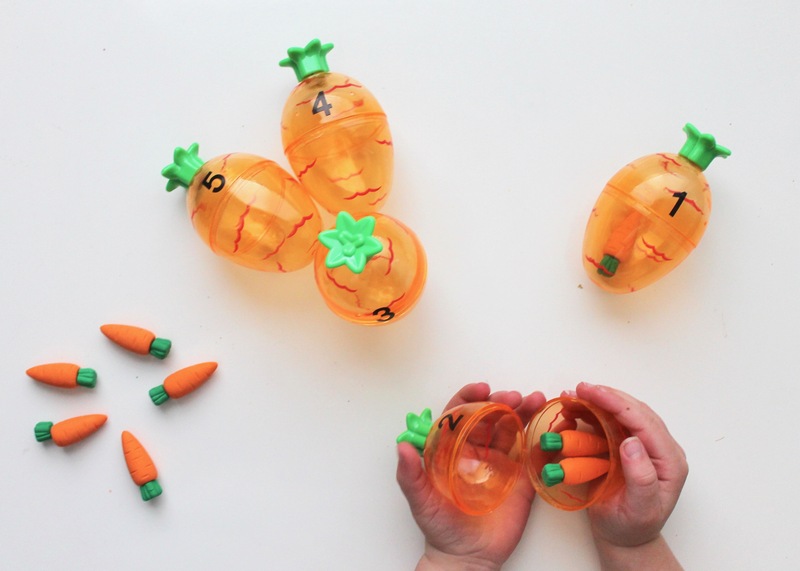 I love the multi step learning elements of this particular activity. 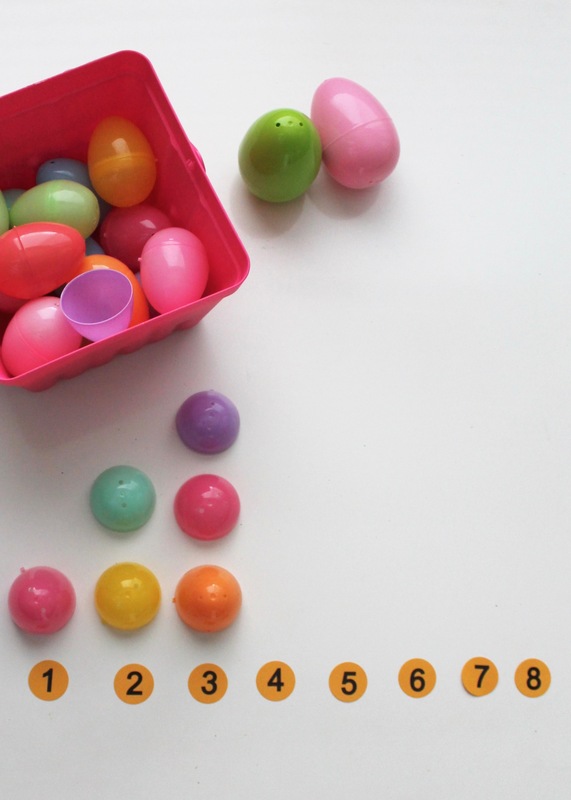 Using just one part of the plastic egg (either the top or bottom), children make a graph of eggs. 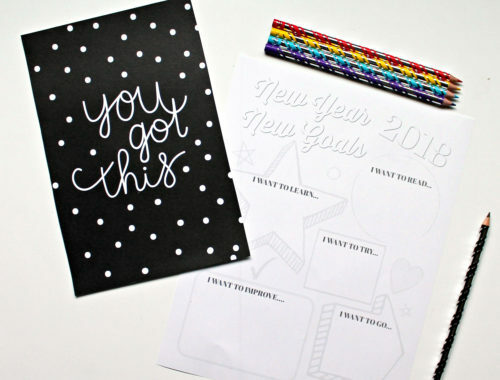 The setup includes placing pieces of paper down with numbers on them and giving instructions that they need to place the pieces down representative of the number shown. 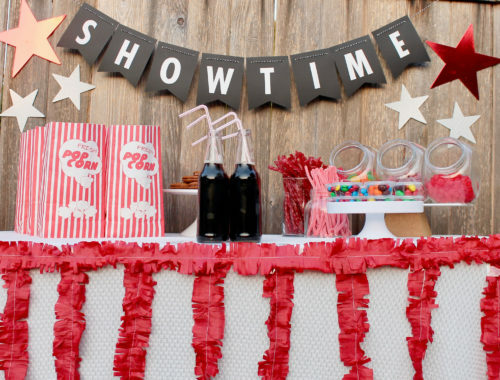 This one may be the simplest to execute and yet can provide lots of entertainment. 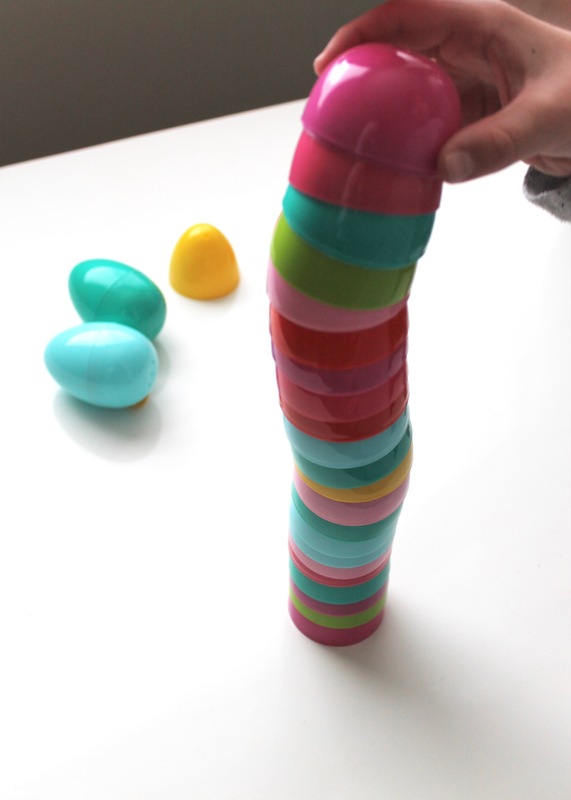 My son in particular spent a half hour trying out different techniques of stacking (bottoms verses tops and vice versa) in his efforts to make the biggest tower possible. He also tried making a whole bunch of mini towers and of course, had a blast knocking them down. So while the other activities have a great learning element, I have to say, this one kept the young ones attention the longest.